This book provides a detailed description of the process by which Joseph Smith translated the Book of Mormon. Drawing from firsthand accounts of Joseph himself and the scribes who served with him, From Darkness unto Light explores the difficulties encountered in bringing forth this book of inspired scripture. Recent insights and discoveries from the Joseph Smith Papers project have provided a fuller, richer understanding of the translation and publication of the Book of Mormon. 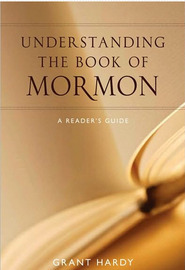 This book helps readers understand that the coming forth of the Book of Mormon was a miracle. Faith and belief are necessary ingredients for one to come to know that Joseph Smith performed the work of a seer in bringing the sacred words of the Book of Mormon from darkness unto light. Gerrit J. Dirkmaat received his PhD in history in 2010 from the University of Colorado. He worked as a historian/writer for the Joseph Smith Papers Project (JSP) from 2010 to 2014. He was coeditor of Documents, Volume 1 and lead editor of Documents, Volume 3. He is now an assistant professor of Church history and doctrine at BYU but continues to work as a volunteer historian/writer on the JSP. This book is so fantastic!! I recommend this book to anyone and everyone! The authors are also very amazing men and know there stuff!! This is excellent. Well researched and documented. I learned so much about Joseph Smith and the translation of the Book of Mormon. It cleared up lots of misconceptions for me.